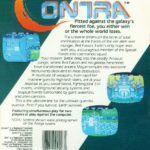 This summary of yet another lost Amiga conversion comes from contributor, Termie Gen, who talks about the unreleased Gryzor and Contra conversions for the Amiga. Developed between 1987 and 1988, but never released it seems. 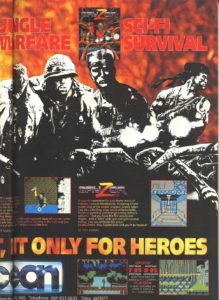 Screenshots of an Amiga version found their way onto various print material, including the box art of other home computer versions of the game, shown below. 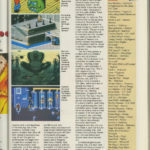 The September and October 1988 issues of Amiga World magazine make multiple mentions of Contra. They even provide 2 price points for the game, as part of a list of Amiga software that are available through phone or mail order. Like the DOS and Commodore 64 versions of the game, a putative Amiga Contra would not be developed by Konami themselves, but another company. It could have been handled by a European developer, such as Ocean Software, given the Commodore 64 Contra is simply a North America regional release of Gryzor, also handled by Ocean. This is less likely, however. Interesting side note: Contra for DOS would in turn be released in Europe by Ocean, re-dubbed as Gryzor. Talk about a real mix-up with their conversions. The fact that a smaller developer house, and not Konami, had likely worked on Amiga Contra means that getting a lead on this title will be much more daunting of a task. Judging by the screenshots, this looks to have been the definitive home computer conversion, graphically at least. It is one that definitely needs to be brought closure. Out of all the home computers that Contra was converted for, the Amiga could have handled Contra the best. Less concrete information is available for this title than Contra. Most of the references to it are in magazines that advertise or cover the versions of the game from Ocean. It’s possible that this would have been the same case as the DOS version, where the North-American developed Contra was simply renamed to Gryzor when localized to Europe. 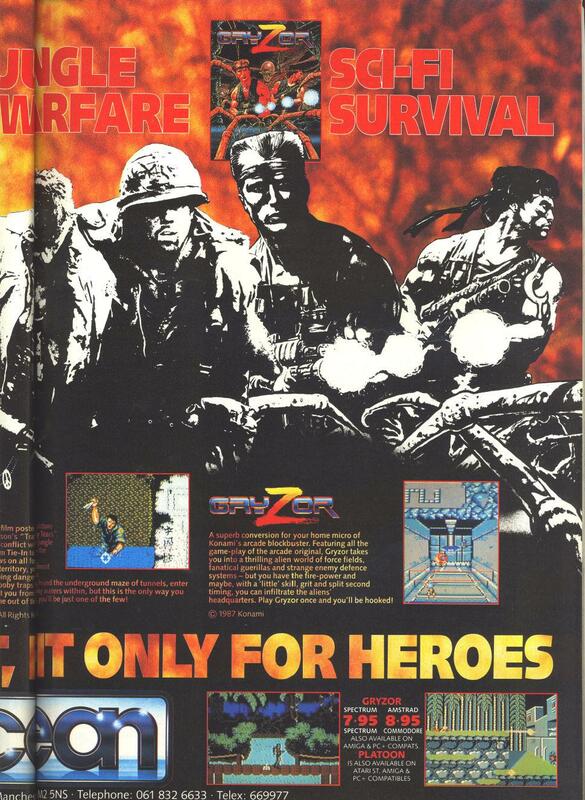 Although focused on Ocean Software’s Gryzor releases, it also mentions that the title is available for PC and Amiga. The latter 2 are even interestingly grouped together and separated from the CPC, Spectrum and Commodore 64 releases. A less credible reference is/was on a few websites, where they claimed that there is a Gryzor game for Amiga that was developed by Ocean Software and published by Sega. 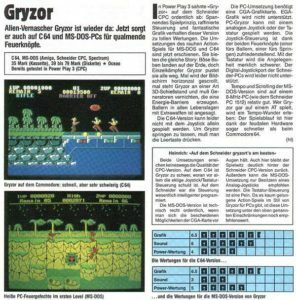 A game such as Gryzor for the Amiga computer would not go unnoticed if Ocean Software was indeed the developer. 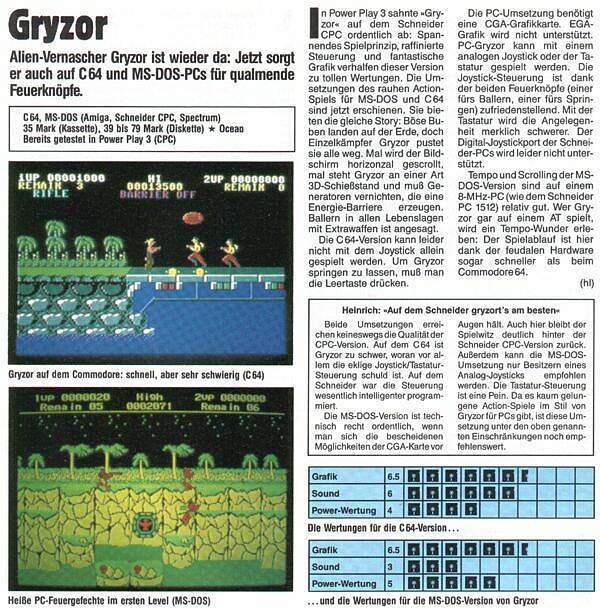 An Amiga version of Gryzor could have fared pretty well compared to the other 4 available ones. 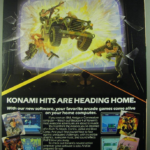 Perhaps more information about this game may be unearthed if its counterpart, Contra, is recovered first. Here are some additional scans thanks to Ross Sillifant – suggesting that Gryzor was not going to be outsourced. This entry was posted in Amiga. Bookmark the permalink. 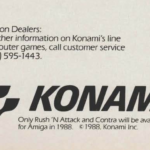 Konami seemed keen game wasn’t in similar vien to Ocean’s Batman The Movie, released some years earlier, so here at least they did seem to show they at least kept an eye on Amiga scene. I’m starting to realise there is simply so much about Konami and it’s games on C64/Amiga yet to be discovered. It also appears they had bought the rights to produce Home Micro versions of games based on the ANIMATED version of Batman, but did nothing with it. Heh, I wish Konami would have kept a better eye on the Amiga scene. Personally, just from what I’ve seen with many of their other home conversions, it doesn’t seem like they actually cared what products were churned out to bring their titles to home computers. Metal Gear on Commodore 64 is fatally bugged, making it unplayable without cracking it; Metal Gear on DOS is full of bugs/glitches, including a fatal one that prevents it from being completed without cheating. The North American release of TMNT for DOS is also impossible to beat without cheating due to the sewer gap segment. 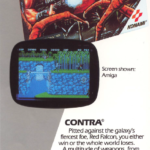 Contra for DOS, while conquerable, pretty much requires cheating due to being highly unbalanced. Super C for Amiga was… yeah. 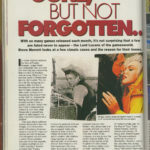 Plus, lots of people complained about the Amiga version of Castlevania, and the other home computer versions to lesser extents. I’m sure the problems don’t end with just these titles. On a related note, I got Foster Hall’s contact again, though it’s his eBay account. I’m trying to get a follow-up on his word about Amiga Contra, as well as Amiga Super C’s development backstory. Unfortunately, he has not responded. If you may be interested, I can provide it in case you might consider taking a shot, yourself. Ocean’s new ST based development system, which would of made 8 bit to 16 bit conversions a lot easier etc…. Never know, might be worth looking into?. Unfortunately, I think this lead would be a dead-end. Going by what Mark R Jones has stated over the years, there has never been any work or talk of an Amiga version of Gryzor in terms of in-house work; he has seen all 4 of the known conversions as they were being worked on at the software house. The thing about Amiga Gryzor is that it would have been the same deal as DOS Gryzor; that is, just a localization of North America’s Contra. 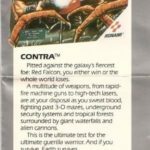 Except DOS Contra was released in North America, whereas Amiga Contra was not. I strongly believe an Amiga version would have been handled by a North American developer, so we’d need to look out west. The only lead I have is Banana Development employees. 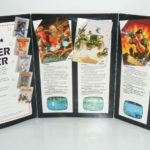 They handled Contra and Metal Gear for DOS; plus, the coder of the latter had even stated that he was at one point tasked with working on the Amiga version of Metal Gear, which never came to be. On a minor tangent, I wonder which company localized the Commodore 64 conversion for North America.